Hand Drawn Heraldry Brushes Pack - Free Photoshop Brushes at Brusheezy! Looking for an exclusive unique heraldry brushes pack for your next project? 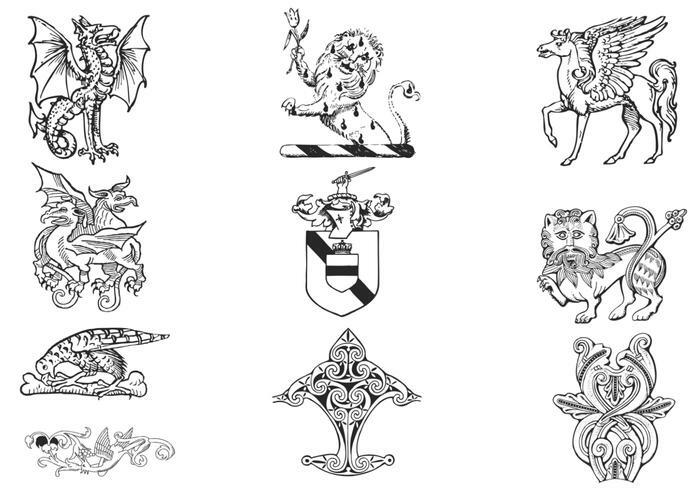 This new Hand Drawn Heraldry Brushes Pack has it all, and you won't find it anywhere else. Included in this pack are ten different heraldry brushes, dragon brushes, shields, and so much more. You'll love the vintage hand drawn quality of these heraldry brushes. Also download the <a href="http://www.vecteezy.com/heraldry/56828-hand-drawn-heraldry-vector-pack/premium">Hand Drawn Heraldry Vectors</a> over on Vecteezy!